Steven Bernstein (trumpet and slide tpt), Jon Irabagon (tenor and sopranino sax), Dave Taylor (bass trombone), Brandon Seabrook (banjo and electronics), Ron Stabinsky (piano), Moppa Elliott (bass), Kevin Shea (drums). 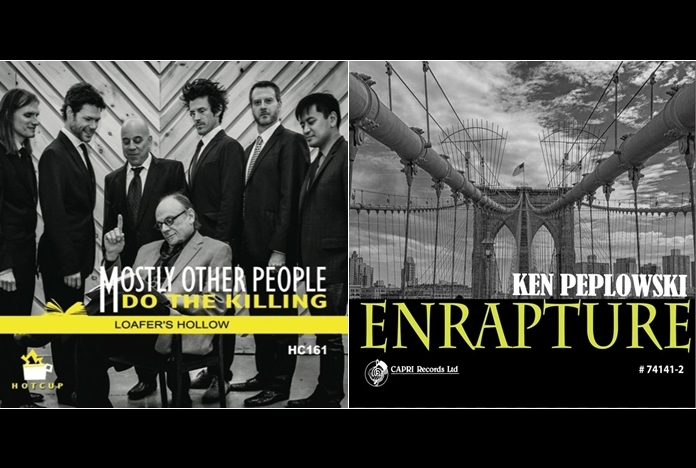 And now for something for completely different — an American group that calls itself “Mostly Other People Do The Killing” promises some surprises, particularly when the personnel includes a bass trombonist who has worked with Duke Ellington, Gil Evans and Sting. One’s curiosity is sharpened even more looking at instrumentation that includes sopranino sax, slide trumpet and “electronics”. The result of this delightful album sounds rather like Loose Tubes meet the Temperance Seven or if you are American and these names mean nothing to you, perhaps the Firehouse Five interpret Maria Schneider, although comparisons can be onerous? Bassist and bandleader Moppa Elliott, who has an academic teaching background, has composed and arranged the album’s tracks.The majority of the titles are based on his native Pennsylvania town place names or have literary connections. I was delighted to see a reference to one of my favourite Kurt Vonnegut characters. Kilgore which features the bass trombone of Dave Elliott and really does justice to the immortally pompous writer Kilgore Trout who often pops up in Vonnegut’s novels. In another literary nod, Mason and Dixon, (this one a reference to Thomas Pynchon) kicks off with some thoughtful piano from Ron Stabinsky and solos from Brandon Seabrook and Jon Irabagon. The suggestively entitled Honey Hole is a raunchy number evoking thoughts of strippers and low dives. It has several false endings which are quite enticing to the ear. Meridian is a wistful take on the final passage of a Cormac McCarthy novel and is probably the most conventional track of the album. It resembles Trouble in Mind but then it doesn’t, as it wanders off on various tangents. “Loafer’s Hollow” is an attempt by Elliott to concentrate the style of MOPDTK by squeezing more musical material into a smaller space and the title is derived from the former name of a town in Pennsylvania. There is no point is trying to categorise the music of this group and behind all the literary and geographical games it sounds like seven extremely accomplished musicians having a lot of fun. This listener definitely did too. 1. Hi-Nella, 2. Honey Hole, 3. Bloomsburg, 4. Kilgore, 5. Mason and Dixon, 6. Meridian, 7. Glen Riddle, 8. Five. From Polish polkas in his native Cleveland. 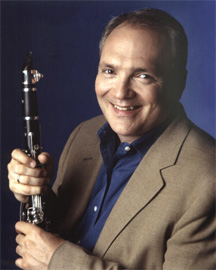 Ohio, to the Tommy Dorsey band and Benny Goodman is quite a journey but Ken Peplowski traversed it with ease and went on to work with other big names like Madonna, Woody Allen and Marianne Faithfull. Anyhow this reviewer has always enjoyed and respected Ken’s talent as a fine jazz musician and this album includes excellent examples of his clarinet and tenor sax work which I have been lucky enough to hear live during his visits to the UK. Rightly or wrongly, Ken is associated with the group of musicians who chose to follow the mainstream/swing path rather than the bebop trail like many of their contemporaries. That included Scott Hamilton, Harry Allen and Warren Vache who all followed forerunner Ruby Braff in that direction. Nevertheless, there is no lack of technique or musicianship in this collection of tunes, some from cinema themes like An Affair to Remember, a Harry Warren standard with Ken’s broad-toned tenor both jaunty and whimsical. Ken’s pure clarinet which sounds classical rather than “dirty” is used effectively on Ellington’s The Flaming Sword. Another nod to the cinema, Vertigo Scene D’Amour, is based on Bernard Herrman’s haunting score to the Hitchcock movie and features once again an almost clinical clarinet and piano contribution from Ehud Asherie and lovely bowed bass work by Martin Wind. Just in case there is any doubt that Ken and the band can’t “do” complicated and fast, a 12-tone variation on Cole Porter’s Easy to Love and entitled Twelve is breathtakingly ebullient with great interplay between tenor and piano. The band shows off its versatility with a plaintive short but sweet bass/clarinet duet on the Lennon/Yoko Ono composition, Oh My Love. Ken’s album is a tribute to his broad-minded choice of material and treatments. His bandmates don’t let him down on that score — some really lovely versions of a wide range of numbers. 1. The Flaming Sword, 2. An Affair to Remember, 3. Oh, My Love, 4.Cheer Up, Charlie, 5. I’ll Follow My Secret Heart, 6. Enrapture, 7. Twelve, 8. Vertigo, 9. When October Goes, 10. Willow Tree.